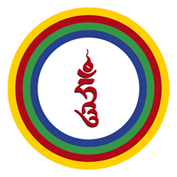 We great joy we offer a cycle of teaching from Lama Rangbar. Last year he already visited other centres of the Rigdzin Community, and now we can welcome him here in Holland. 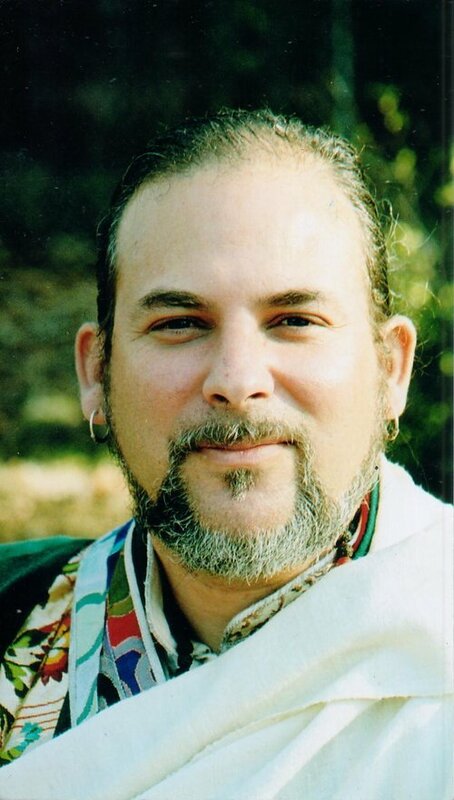 From Friday the 30th of June till Wednesday the 5th of July he will teach on various topics of the Vajrayana practice. And not only that, he will lead us into the practice of Naga Puja and Tsok. And to those with urgent questions about their own personal practice, he will give time to advise and clarify whatever doubts they might have. 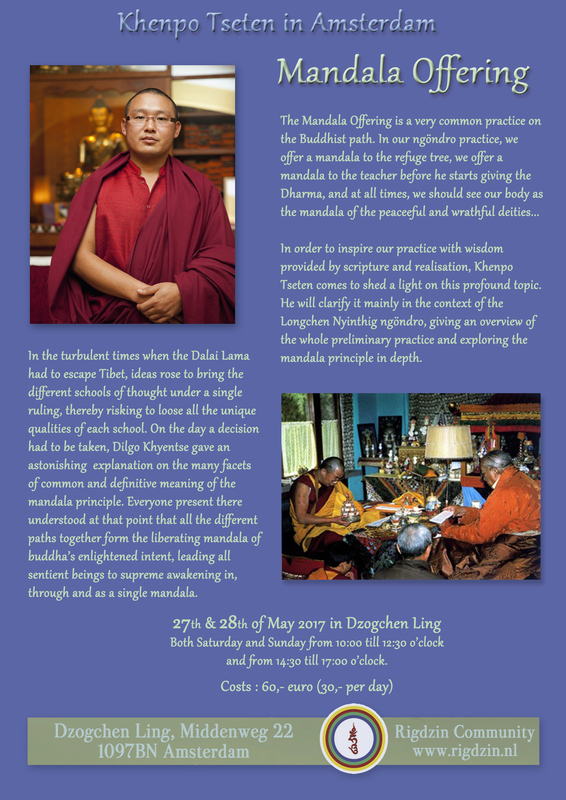 Friday 9th june is the celebration of Saga Dawa Düchen, one of the most important days in Buddhism. It is said that to liberate beings from captivity during this day is the one of the best practices we can do to accumulate merit. 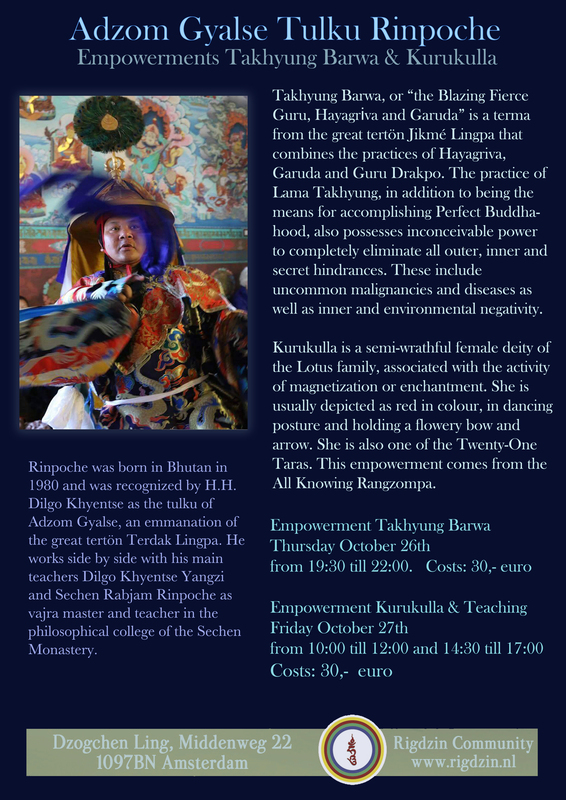 This is why instead of the teaching on friday evening in Dzogchen Ling, Jamgön Rinpoche will lead the liberation of fish in the Amstel starting at 19.30. For the exact place, click here. Namkha Rinpoche – The Great Cloud of Blessings – gaat niet door! Het bezoek van Namkha Rinpoche gaat niet door. Hij wilde graag plaats maken in ons centrum voor een hoge lama uit Bhutan.